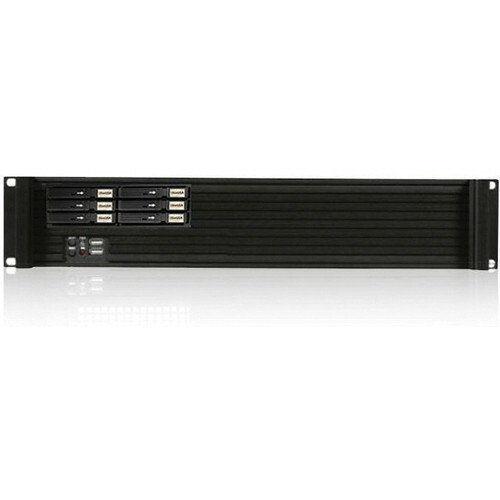 The black D-213-MATX-B126SA 2U Compact microATX Rackmount with 6 x 2.5" Hotswap Drives PS2 PSU from iStarUSA is a reliable and stable industrial computer chassis that is 2U in height and 15" in depth. This full size I/O supports all microATX motherboards with dual / quad-core processors, while the backplane supports 4 low-profile, add-on cards. External Drive Bays 6 x 2.5"
Box Dimensions (LxWxH) 21.0 x 15.0 x 7.0"